This is perhaps the most political piece of writing that will ever appear on Cabinet des Fées. We chose long ago to take a stance of showing, not telling, our respect for authors and literature from all corners of the globe. However, in this case we felt a statement of some sort was necessary. Every one of the core staff of CdF is either an immigrant or the child of immigrants, a person of mixed-blood or mixed-culture—not one of us fits nicely into any neat ethnic or religious category. For us, these are matters of rejoicing, these are our strengths, and we take offense that anyone should suggest we — or anyone else — must be assimilated into something other than who and what we are in order to conform to some imaginary idea of what makes a “good citizen”. At the time of this writing, WisCon 2011 is only a few weeks away. (WisCon, the world’s leading feminist science fiction convention, is wrapping up now, as this introduction goes live.) Many readers of this site will be aware of Elizabeth Moon’s Guest of Honor status having been rescinded after she wrote a deeply offensive LiveJournal post aimed at Muslims, but which also caught in its net a whole host of different types of Americans. For those of you who didn’t read her post, it was a stunning example of the privileged bigotry that permeates many well-meaning conversations about immigration and migrant peoples, and about people in general. The rescinding of Moon’s honor remains somewhat controversial. The majority of those in the progressive sff community do however recognize that when Moon attacked Muslims as potential terrorists, calling for their forced assimilation, she aimed at most of us who do not fit a particular person’s, any particular person’s, definition of what it is to be American. Moon turned each and every one of us into nonpersons, with the status of “person” only achievable if we leave behind those very un-American things that make us who we are: our assorted cultures, religions, and traditions. Sadly, in the years since 9/11 the most visible candidates for nonperson status, in America and overseas, have been people of Middle Eastern descent in general and Muslims in particular. It serves us well to remember that Muslims face the challenges in meeting the twenty-first century that all the rest of the world’s peoples do. The Abrahamic religions as a whole represent a beautiful, but tortured, cultural tradition, one facing a difficult project in the adjustment to a changing global and cultural environment. The decision as to whether to follow any particular faith tradition (or none at all) is a personal one, and to be respected absolutely as such. Muslims are a very old and distinguished group of peoples, with a perspective that challenges American culture in ways that are both deep and salutary. The people who identify with Islam have a long history of self-determination, even as the emerging world order persists in threatening everything they hold dear. They have reason to be mistrustful of the West. So do people of Middle Eastern descent who do not count themselves as Muslims: many are Christian; some are of mixed Muslim and Christian descent; some are from other traditions, including a number of Jews who identify more with Arab culture than with Israeli separatism. Given an ear, they all express pain and anger, but they also are respectful of what has been achieved in Western culture, and do not understand why the West appears to require their humiliation. The progressive sff community in America has responded to the Moon debacle with expressions of the wish to make people of Middle Eastern descent feel welcome among us. The problem is that one cannot “make” anyone feel welcome. What one can do is to show a person how much their presence in and contribution to this world is appreciated and valued, and to accept gladly that Middle Easterners are neither to be rescued, nor to be absorbed by any narrative not of their own making, including any feminist or progressive one. 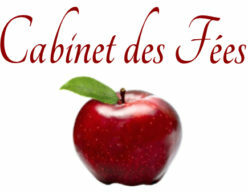 We who form the staff of Cabinet des Fées would like to take this opportunity to show our appreciation and recognition of sff writers and fans of Middle Eastern descent. We begin by presenting three authors whose books most certainly fit within our agenda of reviewing work that draws from the traditions of fairy tales and folklore: Joaana Kadi, Ann-Marie MacDonald, and Emile Habiby. A brief biography of each of these authors follows this introduction, and we hope that once you’ve read our reviews, you’ll search out these titles and others so that you can decide for yourself if these writings have a place in your heart, as they most certainly do in ours. Joanna Kadi (1958- ) is a poet, essayist, and activist born to a working-class Lebanese-American family. She is best known for her essay collection Thinking Class: Notes from a Cultural Worker (1996). She is one of the founding authors of the concept of the intersection of oppression, important to many feminists whose identities cross more than one boundary: for example, she has interrogated classism in the queer and gay-positive communities and anti-Arab prejudice among feminists. She also writes out of her experiences as a lesbian and a survivor of child abuse. She has written: “When I believe my life has meaning, believe it enough that I write down life experiences and my analyses of them, I resist oppression. Each piece of writing, whether analytical essay, poem, or fiction, contradicts lies about working-class people of color: we can’t think critically, we’re too enmeshed in life’s dreary necessities to create art, our mundane lives can’t possibly generate interesting material. My writing results from this desire to resist; it stems from deep feelings of love and caring — for people in my communities, for dogged survivors who refuse to succumb to forces wearing them down day after day, for the ones who’ve generated beauty in spite of incredible hardship, for the wise, articulate, sweet people I grew up with who disappeared quietly into the night because they were too yellow and too poor.” She performs regularly as a drummer and has studied Arabic, West African, and Afro-Cuban drumming. 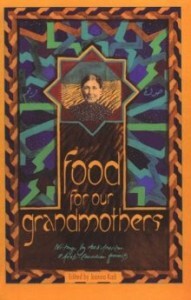 Our review of Food for our Grandmothers: Writings by Arab-American and Arab-Canadian Feminists, edited by Jonanna Kadi, can be found here. Ann-Marie MacDonald (1958-) was born on a military base in Baden-Baden, Germany. She is of Lebanese and Scottish Canadian descent. Before Fall on Your Knees, her 1996 bestseller (reviewed here), she was best known as a dramatist. In 1988, her play Good Night Desdemona (Good Morning Juliet) received several awards in her native Canada and has since been produced over forty times. She is the author of another novel, As the Crow Flies (2003), two musical texts, and four other plays including Where the Spirit Lives (1989), The Arab’s Mouth (1990), The Opera, the Pearls, and Three Fine Girls (1995), and Belle Moral (2004). She is married to the playwright-director Alisa Palmer. Our review of Fall on Your Knees can be found here. Emile Habiby (1921-1996) was a Palestinian writer, activist, and member of the Knesset (1951-1959 and 1961-1972). He once stood between an olive tree and an Israeli bulldozer, but was as critical of Arab politics as he was of Israeli separatism in Palestine. He was a member of the Palestinian Communist Party for most of his life, leaving when Mikhail Gorbachev was deposed in 1991. Our review of The Secret Life of Saeed the Pessoptimist and Saraya, the Ogre’s Daughter: A Palestinian Fairy Tale can be found here.